The hotel and hospitality markets are continuously evolving in response to customer expectations. But due to space limitations, hotel room designers are often forced to compromise on certain aspects of comfort and style in favour of efficiency or practicality, leaving many customers wanting when it comes to the finer details of their stay. However, modern-day technology has a great propensity to offer comfort, style and efficiency, providing incredible solutions for common design and practicality issues often faced in the industry. In recent years, designers have started to switch on to solutions that can combine these aspects, offering well-rounded premium accommodation that makes the customer feel considered and comfortable. A great example of this is the way the industry has adopted and responded to Switchable technology; an incredible glass or film based privacy solution that changes state from frosted to clear at the press of a button. One company in particular took on Switchable technology with enormous success; offering customers a technologically augmented stay at their hotel with a pioneering privacy solution that sets them apart from the competition. Novotel, the company in question, enjoys a solid reputation in the industry for innovation in design and practicality when it comes to their hotel rooms. It stands to reason that an investment in an incredibly innovative use of Switchable Glass would reinforce this reputation and help not only with their business objectives, but also with how their customers perceive them. Novotel specified Laminated Switchable Glass, a complete privacy solution from Intelligent Glass that integrates Switchable technology into safety glass in 136 rooms in the illustrious Heathrow Airport (T1 T2 and T3) branch, offering heightened safety and security compared to alternative glass options. A versatile and awe-inspiring solution, Laminated Switchable Glass is ideal for high traffic areas, bathrooms, hospitals and it is even suitable for video projection. The way Novotel used this technology offers customers controllable and stylish privacy that still allows ambient light from the bedroom to spill into the bathroom. Installed as a room dividing partition, designers were able to maximise the benefits of the space by facilitating a luxury ‘wet room’ area for the shower without blocking light from the rest of the room, creating an open and bright feel in a space that may otherwise feel dark and small when using ordinary dividing solutions. Installing this wet room partition in line with the exterior windows allows guests to benefit from a degree of natural daylight even when the glass is switched to frosted – a design decision that truly excels in an environment with limited space and where traditionally, guests are used to a small, closed off showering environment that is exclusively lit using artificial light. 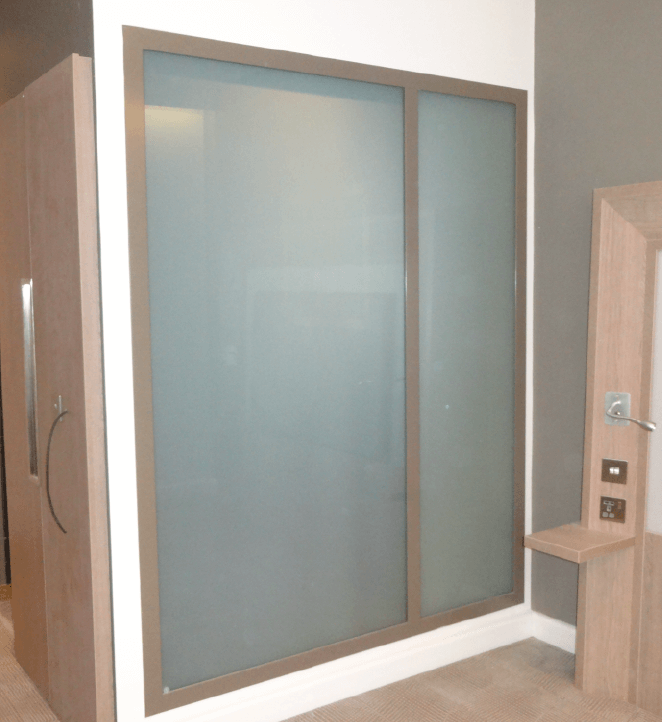 In opting for Switchable Glass to divide this room, guests are given additional control over their environment, encouraging feelings of comfort, safety and power over the space; feelings that are important to customers hoping for an experiential and stylish stay. The practical and inspired aspects of this project boast enormous benefits too; from the potential energy saving that could be seen from the good level of ambient light transference, to the heightened safety it offers in wet room environments, allowing designers be more creative and experimental with glass in areas that could traditionally represent health and safety risks. 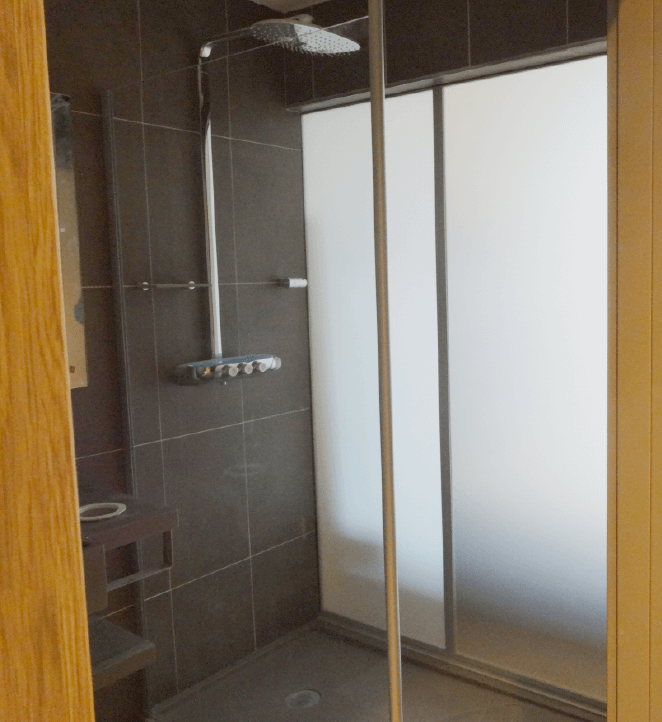 The solution offers guests optional privacy during their time in the shower and bathroom, allowing a degree of choice over their privacy depending on how they feel or who they are staying in the room with. Indeed, such a solution could offer a fun and unique experience for those wishing to use it to its fullest effect. But it doesn’t stop there. 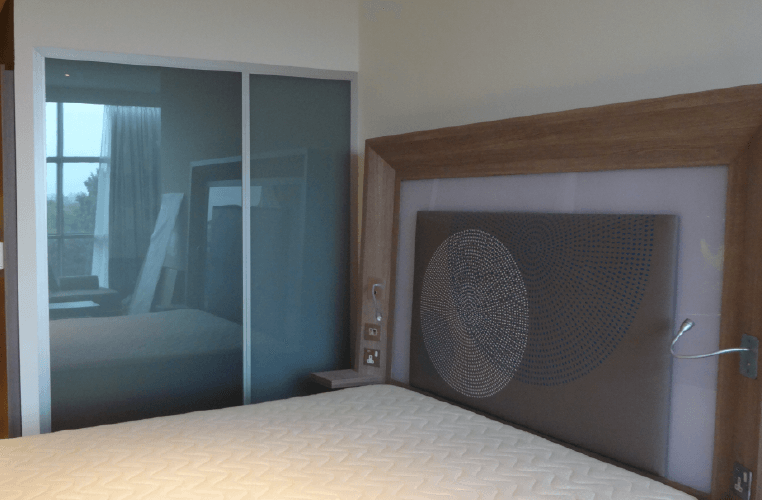 Novotel’s investment in Switchable Glass is further distinguished due to its incredible versatility, potentially future-proofing the design of the room to ensure that it remains cutting edge and keeps up with luxury expectations from customers. For example, Switchable products can be easily integrated into home control and automation power systems such as voice activation or smart phone app control. Intelligent Glass have developed such a solution in the form of Voice Activated Switchable Glass that uses a virtual assistant rather than remote control to activate the product, and Novotel would be able to implement this activation method retrospectively with relative ease, turning this already marvellous solution into something truly extraordinary. Likewise, if they wanted to take this screen to the next level of brilliance, they would be able to easily augment the partition with rear projection functionality, allowing guests to watch chosen content whilst showering, or depending on where the projector was installed, hosting the picture on the other side facing into the room, diminishing the need for a TV in the room all together. 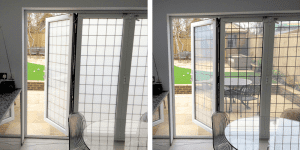 Switchable technology offers hotels a solid privacy solution that can be installed in exterior windows, glass partitions or even glass door panels. Its versatility offers extended functionality that ensures this visual marvel can keep on giving long after its initial installation, offering added value when required in this rapidly evolving climate. Perfectly complimenting Novotel’s reputation for luxury design and innovation, the Switchable product range can bring so much to a hotel environment that helps reassure customers that they are in a premium, cutting-edge space. For additional ways to bring innovative technology into hotel rooms, check out Pro Display’s Mirror TVs – another great solution ideal for designer spaces.